Which is the best to eat famous Hyderabadi Biryani in Gachibowli. 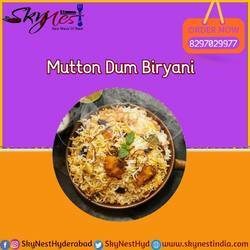 SkyNest Restaurant provides best taste & yummy species biryani at our hand. Amazing to seeing garnish reddish color. No one can miss the chance to Hyderabadi biryani. For more details visit our site.